The leading product development platform for requirements, risk and test management. The Jama Product Development Platform is an integrated solution for guiding the strategic and operational aspects of complex product development. It supports the entire product development lifecycle from idea to launch. 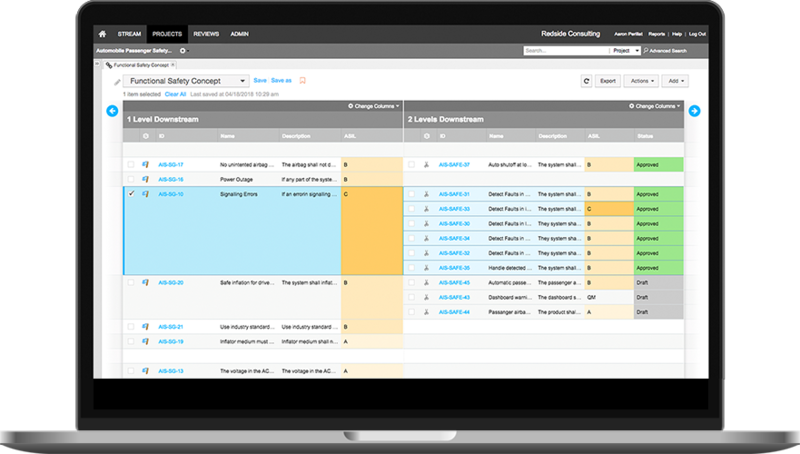 It gives product leaders the ability to view patterns of risk and opportunity across projects, teams and time. And it integrates with the workflows and technologies teams know and enjoy best. Measure team performance and optimize product and resource investments at the pace of development. Standardize your complex product development process to ensure teams are aligned and have what they need to be successful. Open lines of communication through structured collaboration to improve efficiency and execution of the product development process. Build what you set out to build and understand the impact of your decisions to reduce risk. 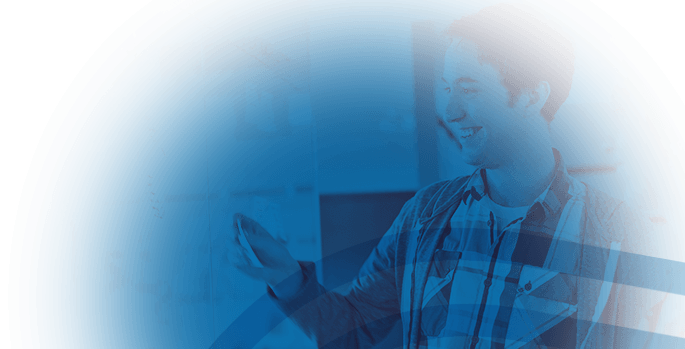 Leverage our experts who provide best practices and processes tailored to the needs of your industry and help drive adoption across your teams. 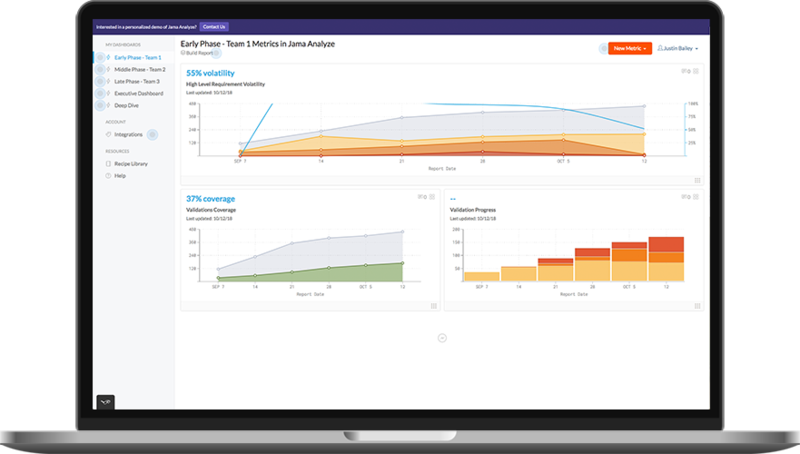 The Jama Product Development platform combines Jama Connect™, Jama Analyze™, integrations and professional services, with the goal of helping innovative companies improve product quality, mitigate risk and increase speed to market. 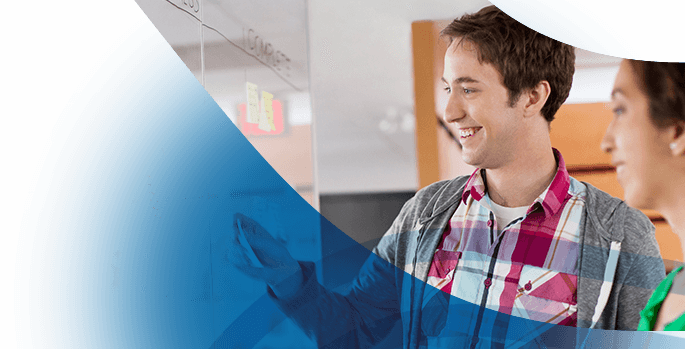 This integrated solution supports the entire product development lifecycle from idea to launch, guiding the strategic and operational aspects of complex product development. Jama Connect is a hub for understanding your full product development lifecycle. It registers real-time decisions and feedback, identifies key stakeholders and owners, and proves you built the product you set out to build. Extend the Jama Product Development Platform via popular third-party integration hubs or an open REST API, supporting industry specific workflows and integration of the technologies you use throughout the product development process. Jama Analyze builds on product development data that teams are generating with solutions like Jama Connect, Jira Software and GitHub to give product leaders a far-reaching view into performance across teams to identify where to impact efficiency and product success. Jama Professional Services focuses around your team, your process and aligning the Jama Product Development Platform to your product development needs. This approach combines enablement with best practices tailored to your needs and technical services to ensure accelerated time-to-value.